Whether it's at the office during an important client conference call, at home or anywhere else, we have to jot down different types of notes and information on a routine basis. From someone's contact number to a witty quote on a blog, it could be anything. Sometimes the information to be noted down isn't even textual, but visual (e.g. a picture of flyer having some details). This is where note-taking apps come into play. These handy apps let you keep note of everything from texts to voice memos, all with your smartphone. But with hundreds of note-taking apps available, it can be difficult to pick the right one. Don't worry though, we're here to help. Here are our picks for the best note-taking apps. They are available on iOS and Android, and can even be accessed via an Internet browser. Read on and choose the one(s) best for you. 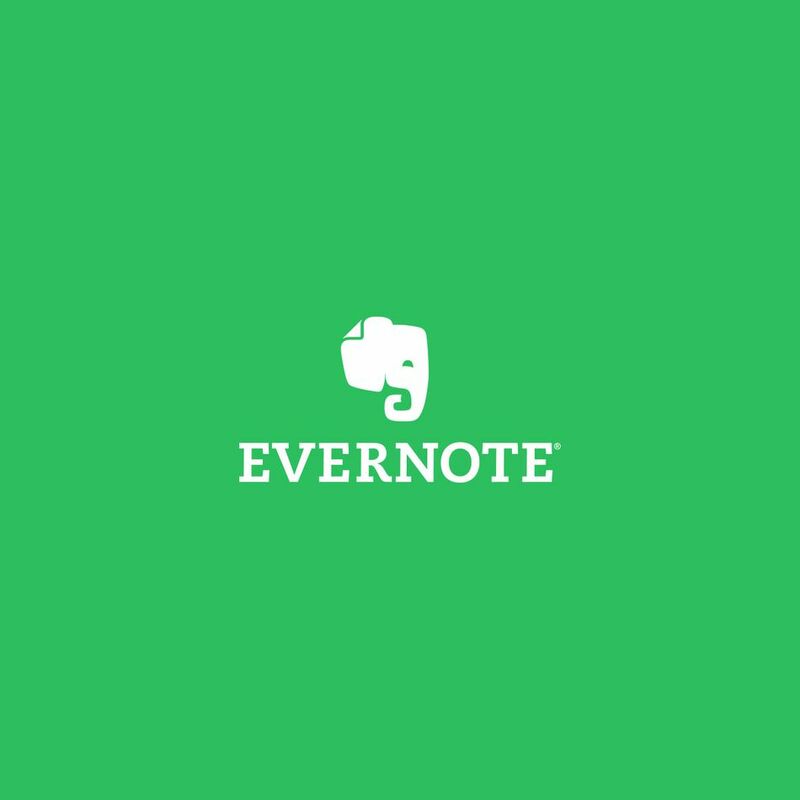 With its ability to capture a wide range of digital information and exceptional organizational features, Evernote is unquestionably the best note-taking app out there. Evernote lets you take notes in a variety of formats, including text, pictures, audio and video recordings, annotated Web page clippings and more. These notes can be organized into virtual notebooks and managed using tools such as tags and shortcuts. From checklists to external files, anything can be added to notes. You can add configurable reminders to notes, as well as share them with other users via e-mail. Evernote's Web clipper extension lets you save Web pages with one click and annotate them with highlights and visual callouts. Using your smartphone's camera, the app can scan and digitize everything from documents to business cards in a snap. Evernote automatically synchronizes your content across multiple devices, allowing you to access it from any phone, tablet or PC. The service's premium tier offers even more features, such as offline access to notes/notebooks and PDF annotations. Microsoft's productivity solutions are highly regarded as the best in the business, and OneNote is no exception. If you are on the hunt for a feature-packed note-taking app, look no further. Being a free-form information gathering app, OneNote lets you capture just about everything and place it anywhere on a flexible digital canvas. You can type, write by hand (using a stylus), clip Web pages and even scan handwritten notes or pages. The app uses virtual notebooks for organizing content and has a design similar to a physical three-ring binder. You can have separate color-coded sections for adding different types of notes, and each section can have multiple pages. OneNote's powerful search feature lets you quickly find information either on a particular page or across all notebooks. The notes can be organized using custom labels and tags, and you can revise notes with highlights and ink annotations. Since it's a part of Microsoft's Office suite, OneNote plays well with applications such as Word, Excel and PowerPoint. The app is available across all major platforms such as iOS and Android. There may be times when you have to work with a friend or a colleague to gather/share information on a common project. For such occasions, you'll need an awesome collaborative note taking app, and Dropbox Paper is just that. Dropbox Paper offers you (and your team) a collaborative workspace where you can not only add and edit notes but also brainstorm, review ideas and even handle meetings. Its task management tools let you assign to-do lists, add due dates and mention others, directly from the active document. Using annotations, you can add comments to a specific part of an image in the document. Connecting your calendar to Paper lets you easily find documents relevant to the meeting's agenda. From images and audio to YouTube videos and GIFs, you can add almost any type of content to Paper's workspace. It works seamlessly with external applications such as Sketch and Invision, enabling instant file previews. Being a Dropbox app, Paper integrates well with the cloud storage service, too. Dropbox Paper is available for both iOS and Android. It can also be accessed online via a browser. As its name would have you believe, Simplenote is perhaps the simplest note-taking app out on the market. It provides an easy way to maintain notes, lists and ideas. Simplenote's core experience is all about speed and efficiency. Just launch the app, type some notes and you're done. You can create as many notes as you want, and edit them whenever required. Once you have a sizeable collection of notes, you can use tags and pins to organize them. Simplenote's lightning-fast search functionality lets you quickly find what you're looking for, with relevant entries that change as you type the search string. All you need to get started with the app is a free account, which lets you back up your content to the cloud. It also synchronizes your notes across multiple devices, allowing you to access them from any PC, tablet or phone. Simplenote works on every platform you can think of, including iOS, Android, macOS, Windows and Linux. It's also accessible via the Web. Despite its simplicity, Simplenote has some sharing and collaboration features that make it even more useful. The app even backs up your old notes, and you can drag a slider to access their old versions. If you use an iPhone and/or an iPad, you don't even need to look for a third-party app. Apple's own Notes app, which comes baked into iOS, is more than sufficient for all your note-taking needs. From long-form textual notes to to-do lists, Notes lets you jot down everything. You can also add Web links, scanned documents and sketches to notes. To get started, just tap on the New Note icon and type away. You can also use Siri (Apple's virtual assistant) to create a new note and dictate its content. The app's camera functionality makes it easy to quickly add photos to notes, and you can also scan paper documents to digitize them into notes. Apple Notes lets you add attachments such as maps and documents to both new and existing notes directly using the Share option in other apps like Safari. Your notes are stored in the cloud, and iCloud synchronization means you can effortlessly access them on both iOS and macOS devices. Apple Notes supports gesture writing, so you can use your finger to draw right in a note, choosing from a variety of brush styles and colors. If you have an iPad Pro, you can use the Apple Pencil to take handwritten notes. All the content saved in Apple Notes can be secured with a password or fingerprint. As the developer of the Android, Google makes some of the most popular apps for the operating system. One of them is Google Keep, which is the best first-party note-taking app for Android. From textual information to photos, Google Keep makes it easy to jot down anything. You can even speak a voice memo on the go, and the app will transcribe it automatically. The notes are organized as digital sticky notes, and each note can be assigned a different color for easier visual identification. You can add individual reminders to each note, plus information such as date, time and place when you want to be reminded. Important notes can be pinned to the top for quicker access, and you can invite other users (via e-mail) to collaborate on notes. Google Notes supports gesture writing, too. Notes can be organized via labels and copied directly to Google Docs. The app makes it extremely simple to create to-do lists and entries can be rearranged and have checkboxes. Google Keep is available for both Android and iOS. It can be accessed online as well. While most apps support multiple note types, they use a common method to handle all of them. This is where Zoho Notebook differs from the lot, employing a different approach for each note type. If you want a note-taking app that can manage different types of notes equally well, Zoho Notebook is going to be just perfect. Thanks to a gorgeous card-based design, Zoho Notebook makes managing different types of notes a cakewalk. Each of the cards has a unique color (e.g. Yellow for Text, Blue for Checklist, Red for Audio) that lets you visually differentiate between them with a simple glance. Each card also has customized functions, which makes it simple to manage the notes associated with them. For instance, the Text card can be used to create to-do lists and capture whiteboards. Similarly, the File card makes it possible to add PDFs, word documents and spreadsheets to notes. Then there's Smart Cards, which automatically formats the content saved in Zoho Notebook to make it look better. Zoho Notebook also supports numerous gestures, such as pinch to group notes into a stack, and flick to find the note that you're looking for. Despite its rich feature set, Zoho Notebook is completely free to use. The app is available for iOS, Android, macOS and Web. Majority of the apps store notes in the cloud using your account information, which means that only your account password is needed to access them. While this approach works, it's not exactly the most secure. For more security, it's best to encrypt notes before you save them. And that's what Saferoom is all about. Arguably the best encrypted note-taking app available, Saferoom provides your notes a much-needed extra layer of security. It's worth mentioning here that Saferoom doesn't have any note taking features of its own. Instead, it's been designed to work in conjunction with other services. It lets you encrypt your notes, which can be then saved to any of the compatible cloud services. Speaking of, Saferoom supports Evernote, OneNote and Office 365. The app uses the zero-knowledge principle to encrypt data. This means that the encryption password is known only to you, and there's no way to recover the encrypted data if you lose or forget the password. What's best here is that Saferoom doesn't change the type or medium of notes during encryption, so they are visible perfectly in standard apps. The app's extensions let you encrypt files from other apps directly into Evernote/OneNote. Saferoom supports popular apps like 1Password and LastPass to enable usage of passwords.